Steel Division: Normandy 44 is celebrating its first anniversary today! Turning one, we can look back and contemplate how much it has grown since that time! It’s time to celebrate it all together, you were always here to support it and we couldn’t have reached this point without you. It’s time to rewind this year from the beginning and look at everything we did that made our dedicated community the way it is. 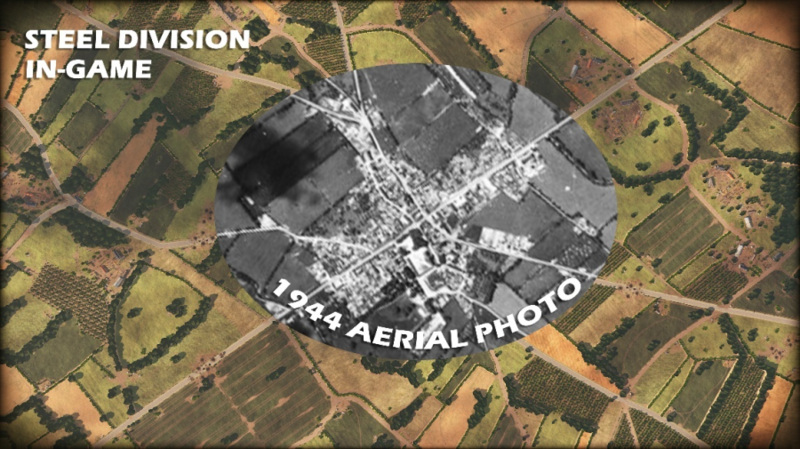 Steel Division: Normandy 44 is a project that takes its roots at the end of Wargame: Red Dragon development, even before Act of Aggression was released. Its original name as a project wasn’t even Steel Division, it started as Combat Group! The aim was to make a strategy game simulating the battle of Normandy from June 6th to August 21st of 1944 with an emphasis on the realism. We wanted History to come alive on your screens, to make you face the same choices and challenges as the officers of that era … and for you to have fun doing so. Those were the three key objectives at the beginning of the design, which were kept in mind during all the development of the game! One of the key features was to make you feel the excitement of the battle through a real-time visual indicator: The Dynamic Front Line. Steel Division also introduces a new gameplay in three phases, recon, skirmish and battle phases in realistic theaters! 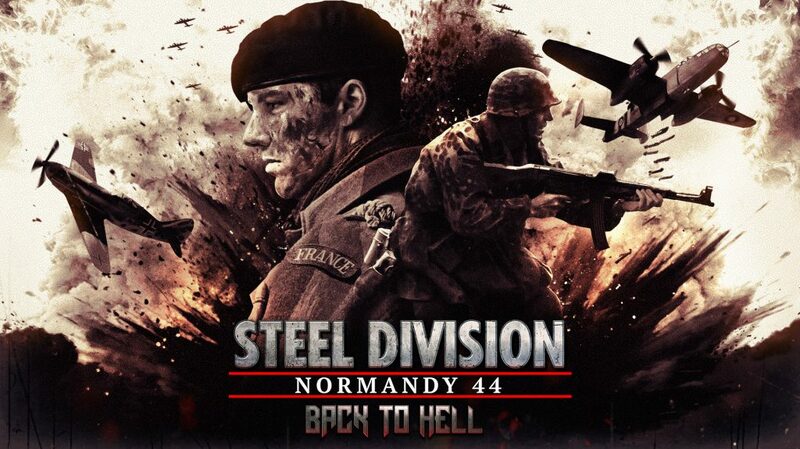 We started working side by side with Paradox Interactive and announced Steel Division: Normandy 44 on March 1st. Do you remember your reaction when you saw this trailer? On April 5th, commanders could get access to our Exclusive Beta as well as pre-ordering the game. This is where everything started. 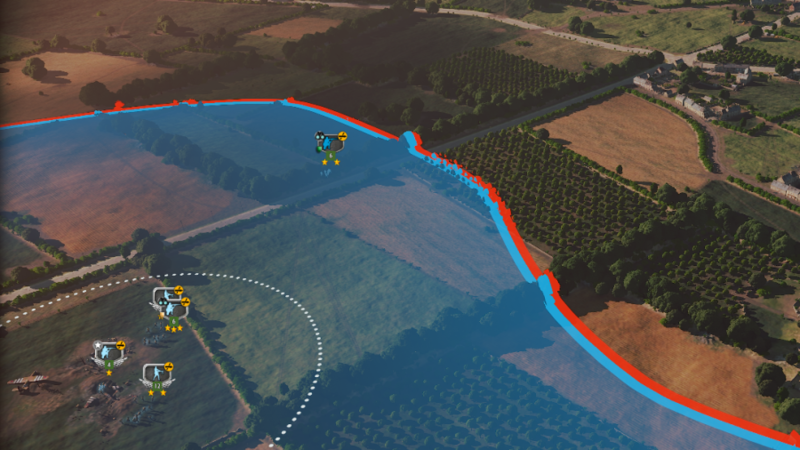 Thanks to all your feedback we could add new maps and divisions regularly while balancing the existing ones and have a successful launch on the 23rd of May! At launch, you had access to 18 divisions with more than 400 historically accurate units, 15 maps, and 3 complete solo campaigns. During this year, Steel Division also managed to win the heart of the critics! Indeed, not only did it get a score of 83 on Metacritic, but it has also received the 2017 Gameblog Awards for the best Strategy and Tactic Game! 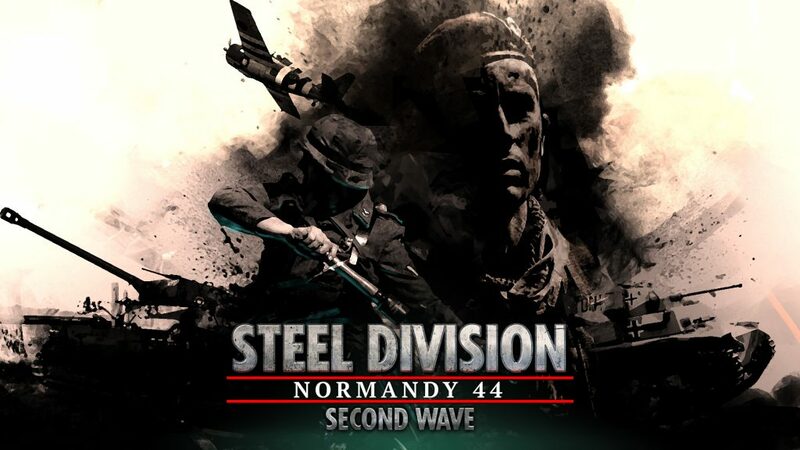 10 major updates over the course of 12 months kept improving Steel Division: Normandy 44. It was our goal to have regular updates in the game to keep your interest at the highest stage as well as balancing the divisions to keep the game balanced. 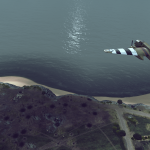 We wanted to make you feel that every division is special and that you could play anything as an Axis or Allied lover. Well, it didn’t go without some hiccups (looking at you 4th Armored) but we tried our hardest and we can see our success right now. Your feedbacks always allowed us to keep the game in a good state, thank you again. Those 10 major updates had specific names chosen specifically based on two rules: it was to be named after a classic rock song and related to the free content added in the update. Did you see the references during this year? You may not have been able to catch ’em all so let me remind them to you! Let’s play a little game, would you be able to make a couple of sentences using all the patch’s names? The best one will be published and credited on our Facebook and Twitter pages. You have up to Wednesday, May 30th to comment on the Steam or Reddit post! Bonus points if you can include Second Wave and Back to Hell! Throughout all those 10 patches we added a ton of free content and improved the user interface after your feedbacks. We also added gameplay modes and balanced the divisions to match your expectations. Alongside free contents, we also released two DLC: Second Wave and Back to Hell. Second Wave was released on September 21st and involved 4 new divisions for a total of 35 new units: The American 4th Armored Division, the British 1st Special Service Brigade, the German 9. Panzerdivision and the 16. Luftwaffen-Felddivision. 4 more new divisions were available with Back to Hell, on February 13th, but it also gave you access to 7 new historical missions and 2 exclusives aces, Major Horst Rämsch and Major Howard, in addition. The 7th Armoured Division “Desert Rats”, the Demi-Brigade SAS, the 2. Panzerdivision and the Festungs Gross-Paris added 58 new units in the game. The historical missions were a new mode that added Solo, Coop and Multiplayer content. Our initial goal was to find a new way for you to enjoy History and have fun with it ; we didn’t lose sight of our three key objectives and it was a pleasure to see the amount of positive feedbacks we received from you all. Thank you. You are a part of the game, the community can make or destroy a game. 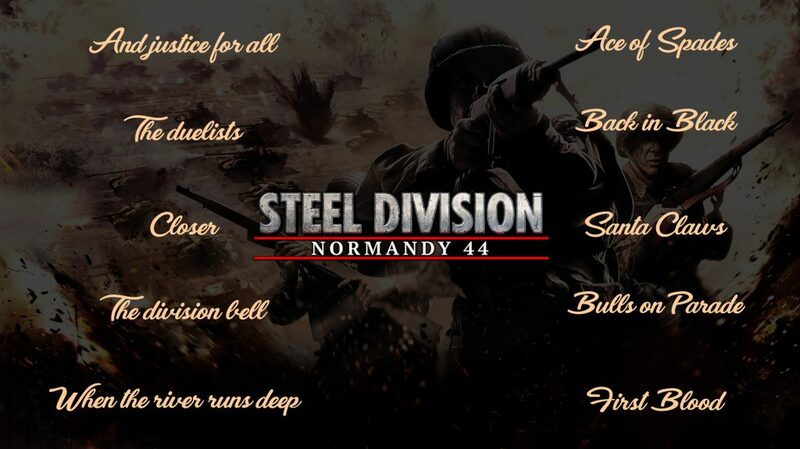 You made Steel Division: Normandy 44 the way it is. 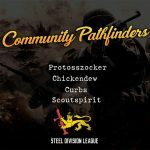 You might think of specific names when it comes to the Steel Division community, from the tournament’s organizers and participants, the modders, the YouTubers and casters or the guys behind the Wiki. They dedicate a lot of their time to the game and are a reason we can call Us a dedicated community. We will learn more about them in the following weeks, stay tuned for the First Steel Division’s Community Blog, to celebrate the First Anniversary.